When it comes to loans, credit is king. Your credit score is the difference between getting a loan approved or rejected. A common misconception is that borrowing from lending institutions is impossible with a poor score. The reality is that you can get a loan with bad credit in Canada. Bad credit loans are possible but you need to be careful. There is a prevalence of predatory debt that comes with poor decisions. With more information, you can make a well-informed decision concerning bad credit loans. That being said, here’s how to get a loan with bad credit in Canada. Is My Credit Score Bad? What Types of Interest Rates Will I Pay With Bad Credit? Bad credit loans are a relief option for people whose low credit scores limit their borrowing options. Essentially, a bad credit loan can bail you out of a financial emergency, even if your credit score is a lot lower than most banks would like to see. A bad credit loan is a personal loan in all but name. Bad credit loans are money you borrow and pay back in fixed monthly installments. The loan could come from a bank, but if you’re looking for lower interest rates and flexible qualifying requirements, there are better choices to consider. When trying to get a loan with bad credit in Canada, you need bespoke solutions for a personal problem. Bad Credit is one of the most overused and misunderstood terms in the consumer finance industry. Because it’s a matter of perspective, bad credit to one lender is sometimes good credit to another. For many lenders, a credit score below 660 represents a high risk, and to this type of lender, you have bad credit. Many private lenders consider bad credit to be in the range of 550 to 660, with better interest rates reserved for those on the higher end of that range. Again, if your credit score is below 550, you will more than likely not receive a loan. 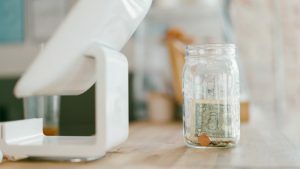 This is why, when considering how to get a loan with bad credit in Canada, it is best to approach other lenders apart from banks and credit unions. Bad credit scores impact your eligibility for loans in a very directly: it’s about judgement and trust. Banks, credit unions or any other institutions look at your credit score as a reflection of your ability to pay back. A low score reflects poorly on you, while a good score is an indicator of reliability. Again, it’s important to remember that bad credit loans are possible and you can get a loan with bad credit in Canada. Another thing to consider is that credit scores are not set in stone. There are steps you can take to build your score: pay your bills on time; stay under 30% of your credit card limit; keep your old cards open; pay your debts; think about consolidating. Here’s how to get a loan with bad credit in Canada, and specifically, who you should go to. Before we go any further it is important to understand both the advantages and disadvantages of bad credit loans. 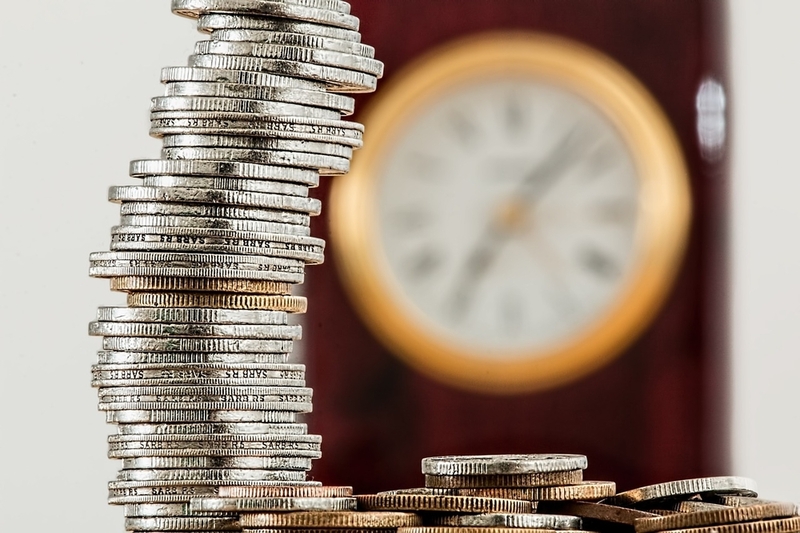 The advantages are that bad credit loans in Canada are fast; you have many lender options and you have the opportunity to improve your credit scores. 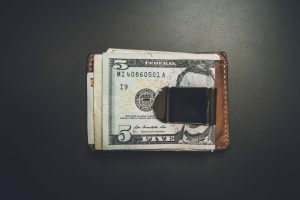 The negatives that come with bad credit loans: high interest rates; fees and penalties are usually drafted in; collateral is sometimes needed as further accountability; not every lender may be officially licensed. They could use certain illegal, underhanded tactics. Make sure you do your research and make an informed decision about who to go to for a bad credit loan in Canada. With that said, here is our list of alternative loan providers that help you when you most need it. These companies are the next best option for those Canadians with low credit scores who keep getting rejected by the banks and lending unions. * For monthly payments calculation purposes, the following parameters were used: $3000 loan size and 36 months loan term. 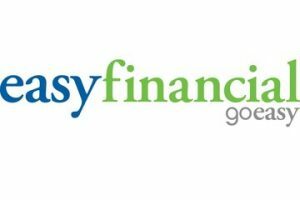 Getting a loan with Easy Financial is quite simple – you can apply online in a matter of minutes, then submit your documents, and get approved for a loan. They have 94% customer satisfaction rating and they have been in business for 13 years. FairStone has been helping Canadians with bad credit loans since 1923. They offer personal loans up to $30,000, debt consolidation, mortgage solutions and retail financing. Ferratum is an international provider of mobile banking and digital consumer and small business online loans in Canada distributed and managed by mobile devices. Their process is entirely online, requires no documents and you get the funds the next day. A great option when requesting bad credit loans. Progressa is Canada’s fastest growing financial technology lender focused on changing the way pay Canadians access and build credit. They pay your online loans in Canada for you directly and in doing so, whittle away at your debt. With a goal to help Canadians retake control of their finances, Refresh Financial offers bad credit loans to those who need it, irrespective of background. As you’ve already figured, the worse your credit is, the higher your interest rate will be. The types of interest rates you pay with bad credit depends on the type of loan. When you get a loan with bad credit in Canada for example, payday loans have a higher level of interest than a typical personal loan for general use. Payday loans are generally to be avoided because they can lead to a cycle of predatory debt. If you have bad credit and are seeking out a personal loan, you can expect to pay an interest rate of anywhere between 30 to 60%. While it may seem counterintuitive to charge those with bad credit in Canada higher levels of interest, it is important to understand risk and reward. People who have bad or poor credit represent a higher degree of risk of defaulting on their loan, and in the process, hitting the lending institution hard. In order to protect themselves from losses, lenders charge higher levels of interest as a proactive stopgap. This allows them to recover any losses they expect to incur when loaning out to individuals with poor credit. If it’s not an emergency, the first step to get a loan with bad credit in Canada is to improve your score so you can comfortably afford the loan you need. Whether short term loans or personal loans for bad credit, Canada and certain institutions will be more welcoming if your score, and thereby your reputation, are strong. Start by making timely payments, especially on your credit card and reduce balance to under 30% of your limit. And don’t apply for new credit. These three factors account for 75% of your credit score so it is vital that you understand the impact they could potentially have on a strong credit score. If it is an emergency however, there are measures you could take to get bad credit loans in Canada that do not involve banks, credit unions or even the alternative sources that we have already mentioned. This is risky from a relationship standpoint, but makes a lot of sense from the financial and loan-anxiety perspective because it should be easier to get approval and a break on terms. Family and friends aren’t likely to put you through the grueling qualifying process and would probably be lenient with the interest rate compared to what you would get from lending institutions that make personal loans for bad credit in Canada. However, if you get a loan for bad credit in Canada from your friends or family, make sure to factor in what happens if you default. Not repaying a loan to a relative or close associate can be toxic to relationships in ways that go far beyond a bad credit report. Treat any loan from someone you know as if it were a business transaction between you and a stranger. That means it should be formalized with clear documents and legally recorded. To avoid future problems, create a written contract that includes the loan terms and interest rate, and what happens if you cannot repay the debt. While you are getting a loan from a friend or family, you should not treat it as such. If you cannot get a loan with bad credit in Canada from friends or family, you can still approach someone you know with good credit about co-signing on for a bad credit loan. With a qualified co-signer, the lender will set the loan terms based on the credit score of the person with good credit, who will then be equally responsible for repayment. You can think of a co-signer as a sort of character witness. All payment information will be recorded on both your credit report and your co-signer’s, so if you default on the loan, or you’re late with payments, you both suffer. There is more responsibility on your shoulders because your actions have direct consequences for someone else. However, if you make timely payments, your own score will improve, making it easier to obtain future loans without a co-signer. For example, if you need a short term loan in Canada and bad credit is affecting your ability, Lending Mate provides you with up to $10,000 provided you have a guarantor. They have a chat over the phone with both you and your guarantor and make their decision based on what they find out and using common sense. It is a less taxing qualifying process when considering what certain institutions put you through when applying for personal loans for bad credit in Canada. But there is a lot more responsibility put on you. Technology and a schism in the marketplace have created a space for Personal Loan Lenders, a new industry that has created an option for people with low credit scores. These lenders are essentially banks that don’t have offices. In our context, this means online loans in Canada. They do their work online and offer online loans in Canada for bad credit scores when it comes to things like credit card debt consolidation and home repairs. Their primary appeal is that they work fast and have funds at the ready. They can make their decisions in minutes and deposit funds in an account in a matter of hours or days. Many have no application fees or pre-payment penalty. When considering online loans in Canada for bad credit, these agencies are your go-to. Online personal loan applications are simple and easy to fill out. Credit scores are only a small part of the decision-making process so this is an appealing option for people with bad credit scores. Other factors considered include your education and employment history. When it comes to it, a lot more needs to go into consideration when trying to answer how to get a loan with bad credit in Canada. One factor is whether or not it’s an emergency. If you have time and room to maneuver, consider taking steps to better your credit score before applying for the loan. If it’s an emergency, then you can apply for bad credit loans in Canada. You then need to figure out from who you want to borrow. Traditional lenders, alternative agencies, people you know and online loans in Canada are all options that come with their respective pros and cons. When the chances are better for your loan request to be expected, the collateral is usually higher, and vice versa. There are many ways to get a loan with bad credit. Personal loans for bad credit are much the same as short term loans in Canada for bad credit. At the end of the day, all you can do is try your best to maintain a strong credit score, do your research and know your own capacity to pay back the debt, make a well-informed decision regarding who to borrow from and who you want to represent you. That’s how to get a loan with bad credit in Canada.